Kaposia Landing — OERTEL ARCHITECTS, LTD. The building project at Kaposia Landing was actually several structures. 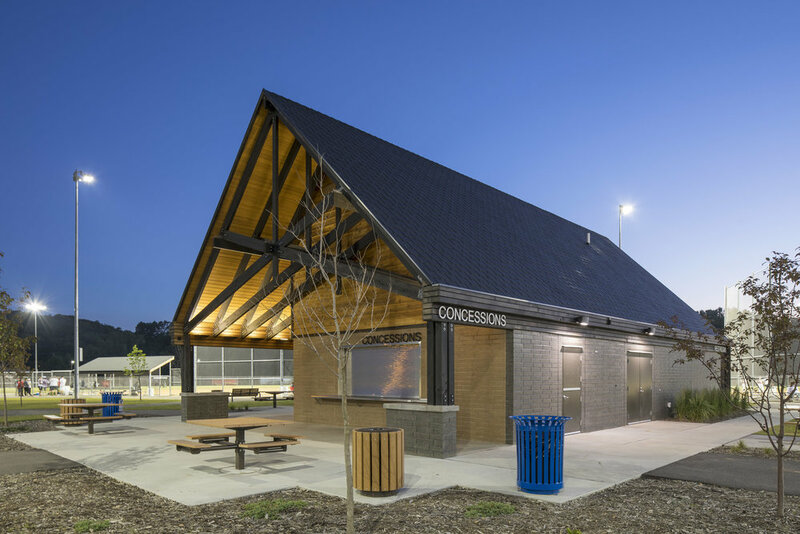 The primary structure was the concessions and restroom building, centered between four softball diamonds. 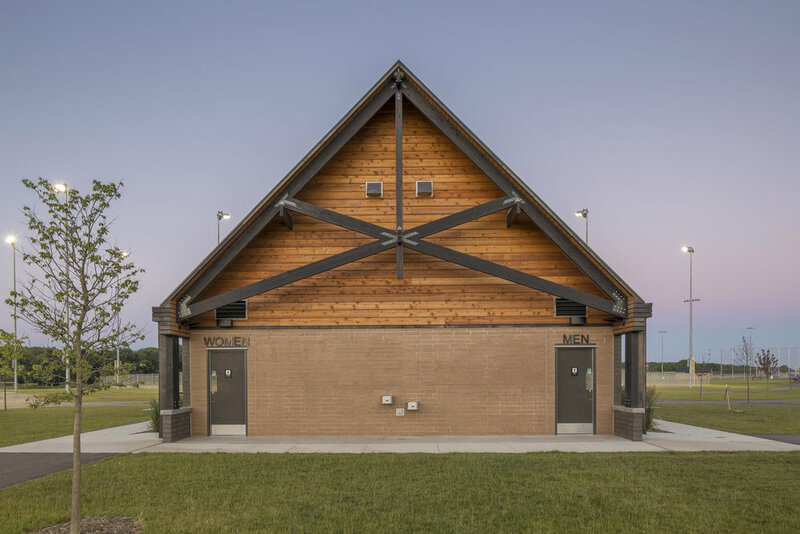 The other structures that were part of the project were concrete block dugouts for a new baseball field, and the dugout shelter structures for all four softball diamonds. The entire park design project is the first phase of a long range master plan for the Kaposia Landing site along the Mississippi River in South St. Paul. 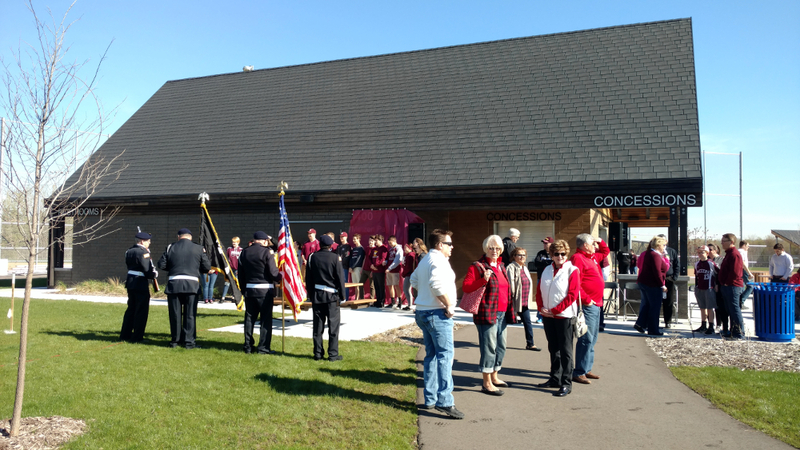 The site was a former landfill that has been restored into the recreational center it is today. It has a very close proximity to the Swing Bridge and obviously the Mississippi River. The design concept was based on historical research of the Kaposia area of South St. Paul. Several structures in the nearby Kaposia Park are WPA era log structures with steep roofs. The nearby swing bridge utilized individual structural members with bolted connections. Oertel used those design cues, along with warm colors, wood textures and durable materials to create the center piece structure in the park.